Pictured left to right are Erin Denholm, MSN, RN, president and CEO of Trinity Health Home Services, Daphne Klausner, Independence Blue Cross senior vice president of senior markets, and Allyson Schwartz, president and CEO of the Better Medicare Alliance. 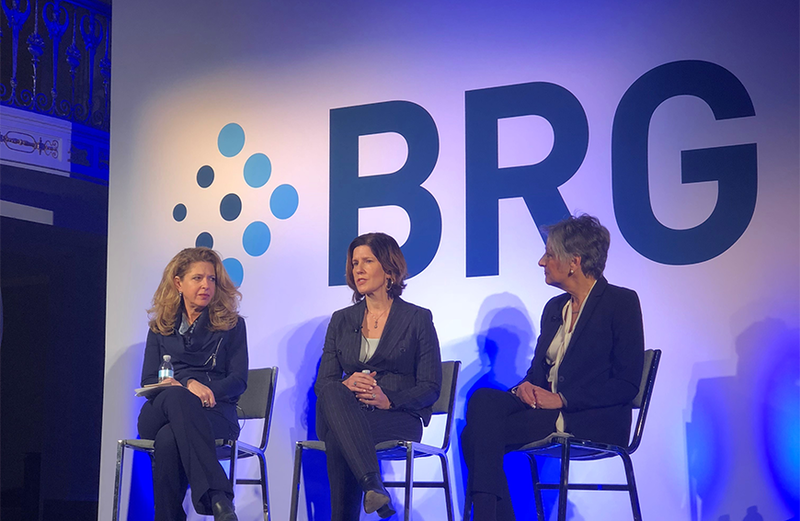 Daphne Klausner, Independence Blue Cross senior vice president of senior markets, was part of the keynote panel at the Berkeley Research Group (BRG) Healthcare Leadership Conference in Washington D.C. in December. The panel, titled “The Big Expansion of Medicare Advantage,” focused on the factors motivating individuals to choose Medicare Advantage plans, how plans are addressing social and economic conditions affecting the ability to access health care, and innovative collaborations with hospitals and insurance companies. The panel, moderated by BRG Director Misha Segal, also included Erin Denholm, MSN, RN, president and CEO of Trinity Health Home Services, and former Pennsylvania Congresswoman Allyson Schwartz in her current capacity as president and CEO of the Better Medicare Alliance. This is the second time in the past year that Klausner was asked to discuss Independence’s Medicare Advantage program on a national stage. She testified before the House Ways and Means Health Subcommittee in May, where she discussed on how adding nutrition benefits to Medicare Advantage plans could improve health outcomes.